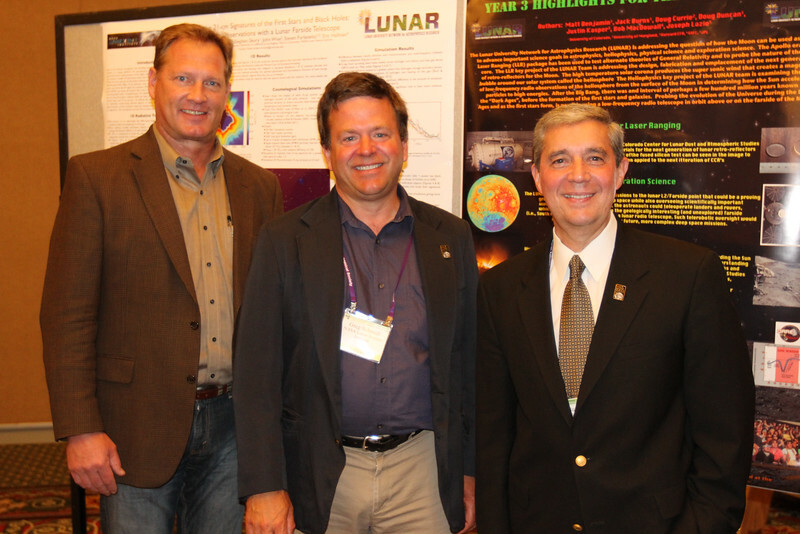 At the “New Horizons for Science from the Moon” splinter meeting on Monday evening, Scott Norris Lockheed Martin), Greg Schmidt (NASA Lunar Science Institute), and Jack Burns (Univ. of Colorado) described some of the unique scientific opportunities that astronomers hope to pursue from lunar orbit or from the lunar surface. AAS photo © 2012 Joson Images.